Uninstall your current Roboto font set. Download and install this new OTF font set from here. In case Roboto weight Regular does not show up in your Photoshop (Windows), go to C:\Program Files\Common Files\Adobe, create a new folder called Fonts. Copy Roboto-Regular.ttf to that folder. Enjoy! 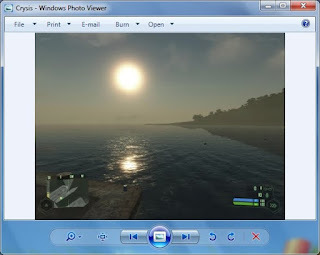 Hi When I was viewing my photos with Windows 7 Photo Viewer, it was very slow, it was loading for every photo. 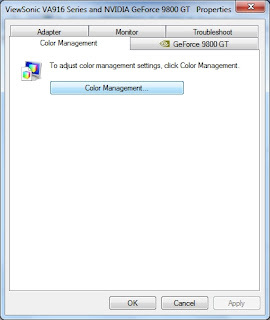 Then I found a fix for it.It is because of the Calibrated Color Profile created by Windows 7. If you remove it every thing will be fine. 1. 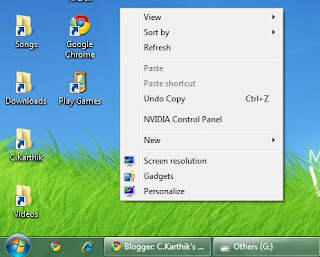 Right Click on Desktop and select ‘Screen Resolution’. 3. 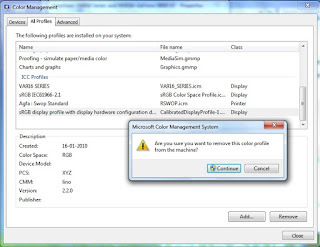 Select the ‘Color Management’ tab and press the ‘Color Management..’ button in properties window. 5. 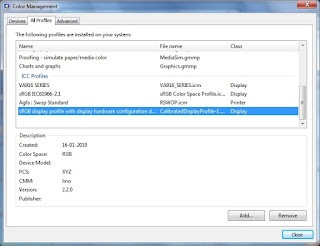 Select any profile with the name ‘CalibratedDisplayProfile’ and Remove it. 6. Thats it Close all open windows. 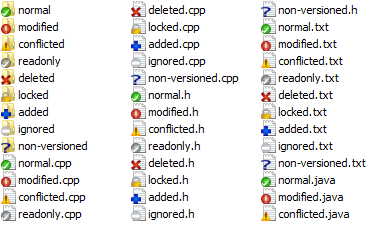 The thing is Windows (Windows 7 to my knowledge) seems to have a limitation of 11 (or 15?) of these indicators being used by all applications. So if your system has too many of them, some will not show up. For example, I installed TortoiseSVN, TFS, SkyDrive, and Dropbox on my Windows 7, and Dropbox indicators got disappeared. The only workaround I know so far is delete some indicators that use don’t use to leave space for others. More info on this http://productforums.google.com/forum/#!topic/drive/_zN32ac5n18. Being an IT guy and a tree-hugger, I always want to use my computer the most energy-friendly way possible. One of the tips I’d love do is to put my computer to sleep mode/hibernate mode whenever I’m not around for a while. I showed you a quick way to do that by creating a shortcut for hibernation in the last post. However, there are cases when you’re leaving your computer, yet you want to keep it on, allowing its tasks to continue running. It’s a good idea to turn off your monitors to save power in that situation. You can manually turn off your monitor by using its power button — but that will take your another press on the button to turn it on. In fact the power button of one of my monitors was broken because of being used so many times this way. You can set a power plan for Windows to turn off the monitors after a period of inactivity, but it does not really works when we need it most — and it does when we don’t need it. Sleeper is an executable utility, which allows you to turn your screen off. It does not require an installation and will not occupy any memory. You can assign a hotkey to activate it, as described below. Otherwise, simply double-click the icon and your monitor will turn off. NirCmd is a small command-line utility, which can complete a range of tasks, which includes turning your monitor off. You can run NirCmd without installation. However, if you want to use it regularly, it’s more convenient to install it and thus not having to type the full path every time you want to run a command. To install NirCmd in Windows 7, right-click nircmd.exe and select > Run as administrator. In Windows XP make sure you are logged in as Administrator. Next, click the > Copy To Windows Directory button. Also confirm with > Yes in the following window. Once the operation is completed, click > OK in the previous window. Now that NirCmd is installed, you can use it to turn off your monitor and complete other tasks. Admittedly, opening the command line and typing a command every time you want to turn off your screen is probably the most inconvenient solution of all. However, you only have to do it once in order to create a shortcut, which you can then assign a hotkey to. Click > [Windows]+[R] to open the Run utility, then type > cmd and click > OK. If you did not copy nircmd.exe to the Windows Directory, spell out the full path. Instead of ‘c:\temp‘ you can choose any other location for the shortcut file. ‘Turn Monitor Off‘ will be the name of the shortcut file, you can choose a different name. Monitor Off is an all-in-one tool. 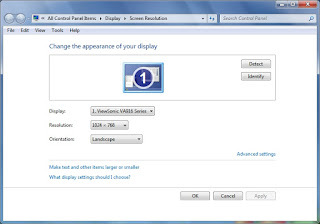 It can turn off your monitor, you can create a hotkey to do so, and you can set several additional preferences, for example locking the workstation when the monitor is turned off, setting a shut off delay, or starting a screensaver. The drawback is that this utility must be installed and will run in your memory. If you’re interested in learning more about this tool, read Saikat’s article MonitorOff – Software to Switch Off Your Monitor & Save Energy. This works for any executable, including the tools above. Note that Monitor Off comes with its own hotkey setup. First, right-click the .exe file and select > Create shortcut. Note that you have already created a shortcut for NirCmd, if you followed the steps above. Next, right-click the shortcut file and select > Properties. Place the mouse in the > Shortcut key: field, which should say ‘None’, and click your keyboard shortcut, for example [Ctrl]+[Alt]+[J]. Click > OK to confirm. Finally, test your shortcut key and enjoy! One of the things I miss when switching from Firefox to Chrome is the ability to quick bookmark a tab by dragging the tab directly to the bookmark toolbar. What’s nice about this is that you can place the new bookmark at the exact location that you want on the bookmark bar, even within a directory. And it’s quick, for sure! Click to the end of the address bar to select the whole url you want to bookmark, and you can drag *that link* to the bookmark bar.